Despite a volatile year in 2018, China has witnessed a record-high foreign trade volume of $4.62 trillion last year and a reduction in trade surplus to the lowest level since 2013, which shows its economy's vitality and resilience despite the lingering trade frictions with the US. Although last year's overall trade surplus shrank, China's trade surplus with the US still grew 17 percent year-on-year to $323.32 billion in 2018, the highest on record since 2006 - a situation that goes against US President Donald Trump's vows to launch a trade war against China to reduce US trade deficit. Specifically, China's exports to the US grew 11.3 percent year-on-year in 2018 to $478.4 billion in dollar-denominated terms, while imports from the US to China only rose 0.7 percent to $155 billion, according to data released by the General Administration of Customs. For the whole year, China's foreign trade volume hit $4.62 trillion in dollar-denominated terms, up 12.6 percent year-on-year, with exports and imports up 9.9 percent and 15.8 percent compared with 2017, respectively, customs data showed. The export growth was the highest since 2011. While the US has been bearing the brunt of souring bilateral economic ties, China's trade with its other major trading partners is showing a firm upward trend. For example, China's exports and imports to countries and regions along the Belt and Road rose 13.3 percent to 8.37 trillion yuan last year, while trade volume with Russia also expanded 24 percent. 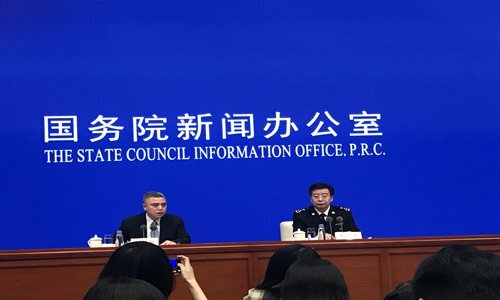 The steady growth in China's foreign trade last year was due to a better business environment at home as well as Chinese policymakers' moves to lift trade barriers and open up the economy, Li Kuiwen, spokesperson of GACC, told a press briefing of the State Council, China's cabinet, on Monday. Li also noted that China's foreign trade growth may slow down in 2019 due to external uncertainties and rising protectionism in foreign countries. But regardless of the headwinds, it will "still maintain a steady growth momentum as China further opens up its economy and pushes forward supply-side reform."